It all began when my kindergarten painting of Apollo 7 was selected for national exhibition. This small event so many years ago set me off on a creative journey that would last a lifetime. 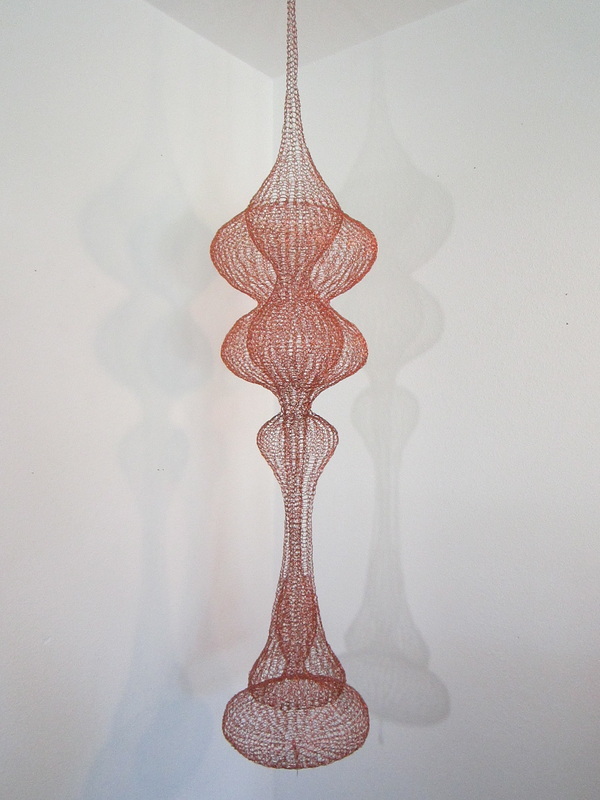 Over the years this journey evolved into an artistic passion focused on working with wire. 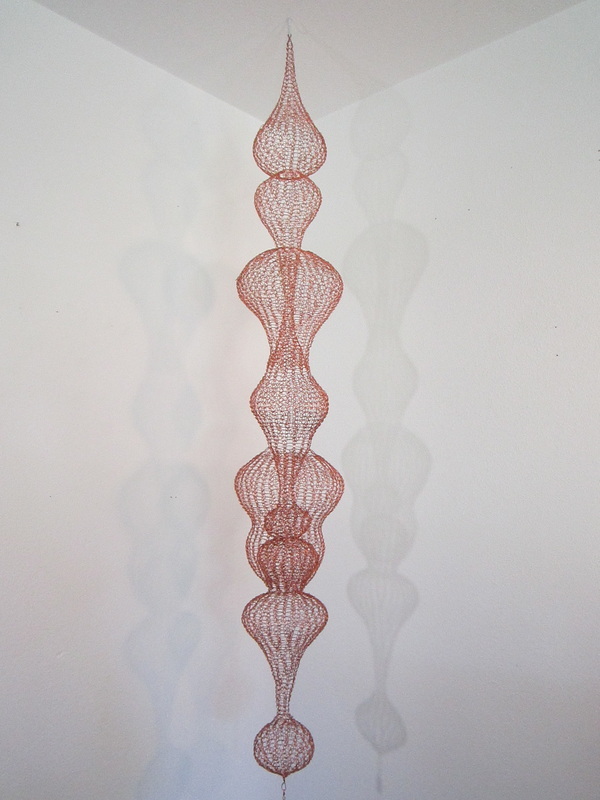 The sculptures I create are made with very fine copper wire using a technique commonly known as “Viking Knit”. Viking Knit is an ancient wire weaving method originally used by the Nordics to create exquisite ornamentation. Since Nordic times, cultures around the world have used this and similar techniques to produce everything from fine jewelry to storage vessels. Such was the case with villagers in Toluca Mexico in the 1940’s who taught artist Ruth Asawa how to make baskets out of wire. Those baskets evolved into the Ruth Asawa hanging sculptures so admired for their simple shapes and modern form to this day. I learned the wire looping technique from the daughter of Ruth Asawa, Aiko Cuneo, who held a workshop at the Japanese American National Museum in Los Angeles where her mother’s work was on exhibition in 2007. At that time, I was working with fine copper wire to make jewelry and was naturally drawn to the workshop. That workshop encouraged and inspired me to explore translating small jewelry designs into large wire sculptures. Since that time, I have created many large-scale intricate sculptures that compliment my smaller works. My approach is free form, each piece evolves – it is not calculated or planned. Instead, it is an intriguing journey focused on the ever-changing interaction between layers. Once complete, each piece is unique and allows one to ponder the complexity that lies within. My copper sculptures have drawn attention for their uniqueness, intricacy and organic quality. The work has been shown nationally, won awards, and been purchased for corporate and private collections.